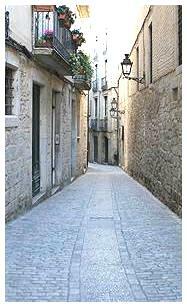 If you are searching your family’s Sephardic origin and history – particularly in Catalunya, here are three programs that may provide assistance. American Sephardi Federation/Sephardic House presents “The Jews of Spain: Past and Present,” in a year-long program made possible through the support of the Edmond J. Safra Philanthropic Foundation, and the assistance of the Consulate General of Spain in New York. These three April and May programs are in collaboration with and with the support of NYU’s Catalan Center, which is an affiliate of the Institut Ramon Llull. All events take place at the Center for Jewish History, 15 West 16th Street, NYC, unless otherwise noted. I met Silvia Planas in Girona several years ago. She is the director of the Nahmanides institute in that city and the Museum of Jewish History, which I have visited several times. She is also the author of a book by the same name. 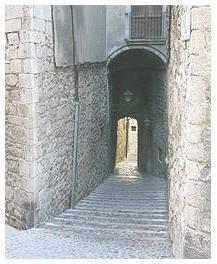 The names of the Jewish women who lived in medieval Girona were Astruga, Dolça, Esther, Mairona, Preciosa, Rahel, Sara. They were born in the city, and they gave birth there. They worked and did business there. Some of them, often under duress, gave up the faith of their fathers. Others professed to be the fervent heiresses of the ancestral law. In this talk, Planas will endeavor to rediscover these women and honor their legacy and their memory. Fee: ASF members, students: free; others, $5. Reservations requested. 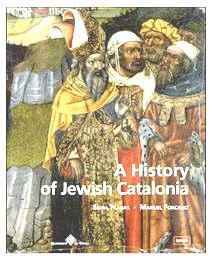 One of the books in my collection is this beautifully illustrated book, by Silvia Planas and Manuel Forcano (who will present this program), which traces the rich history of the Jews in Catalonia from the time of the late Roman Empire and the Early Middle Ages, until the decree of expulsion. A book sale and signing follows. Fee: ASF members, students, free; others, $5. Reservations requested. Manuel Forcano, Ph.D. (Semitic Philology), poet and essayist, will offer a Catalan perspective on Jewish culture as reflected in the writings of the great 19th-20th century Catalan authors. Offering rich passages from the literature, Dr. Forcano will guide us from the negative stereotypes of the 19th century, through the fascination with Israel as both a religious and political inspiration, and the Bible and the Talmud as references, to the emergence of a modern, nuanced view of the place of Jewish culture in Catalonia. Fee: Free. Venue: King Juan Carlos Center, 53 Washington Square South (bet. Sullivan & Thompson Streets). Reservations requested. 1239: With the Edict of Valencia, Spanish King James I validated privileges of the Jews of Aragon. The Jewish courts (bet din) were authorized to try all cases except capital offenses. 1815: With the defeat of Napoleon, new restrictions were imposed on the Jews all over Europe. 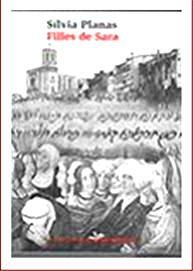 1816: The Jews were expelled from the Free City of Lubeck, Germany at the instance of the local guilds. This was part of the reactionary backlash that followed the defeat of Napoleon a year earlier. For more information, go to the Temple Judah website and open the Adult Education Tab.